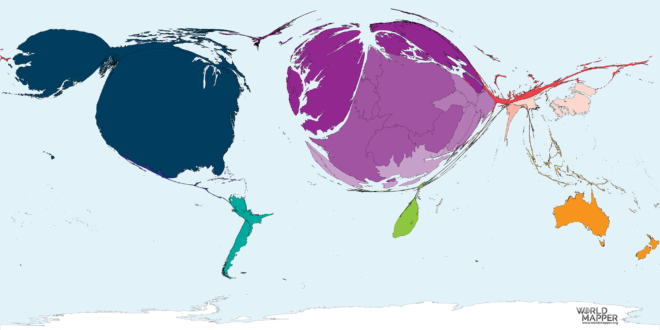 The cartogram shows time zones from the perspective of an equal-population projection – a gridded population visualisation where each small area is proportional to the population living there. 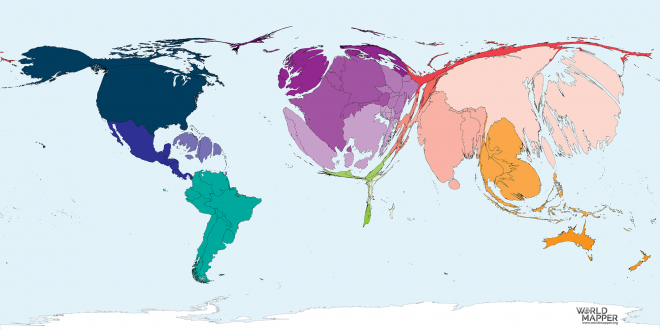 The map highlights how geopolitical considerations have an effect on the impact that time has on people and the functioning of the world. Globalisation is far from having resulted in a compression of space and time. On the contrary, time defines our contemporary world because it has put a new meaning to the spaces of humanity, or, as Tennessee Williams describes it in The Glass Menagerie: ‘Time is the longest distance between two places.’ In an interconnected world, time is equally the longest distance between two people. 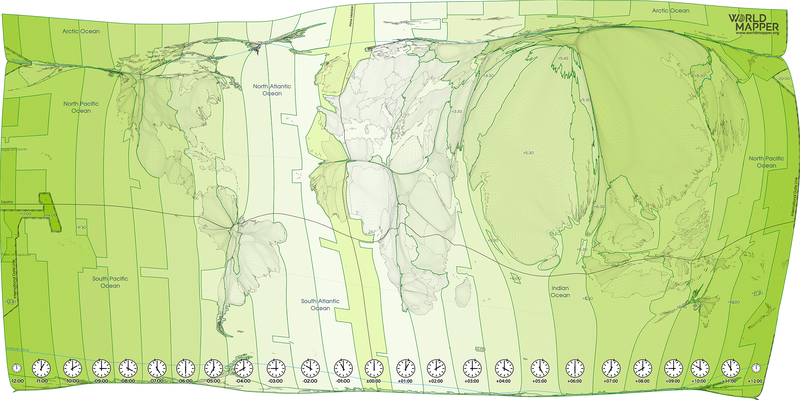 This map shows the land surface resized by its population with a the major time zones of the world. Each transformed grid cell in the map is proportional to the total number of people living in that area. 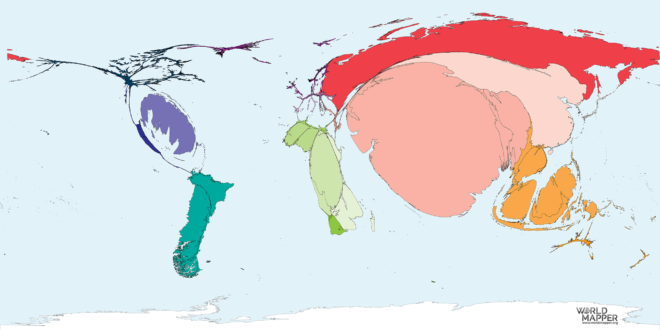 This map uses population estimates for the year 2020 based on data from the Gridded Population of the World (GPW), v4 at 0.25 degree resolution, released by SEDAC (Socioeconomic Data and Applications Center). 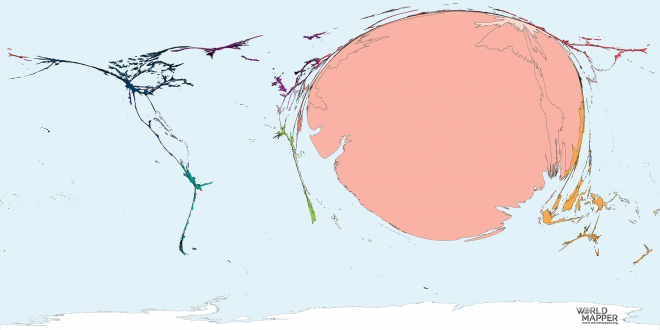 The map overlay is a modified version of time zone boundaries by Natural Earth (accessed March 2018).